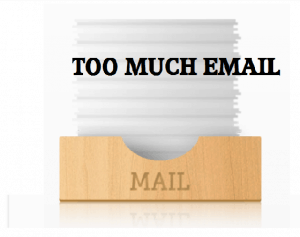 I used to get too much email, there I’ve said it now, I had Email overload. 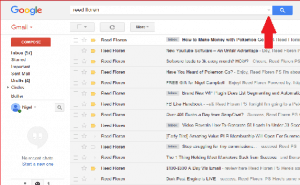 Do you know how you can tell when you are getting email overload? Well if not I’ll tell you anyway. 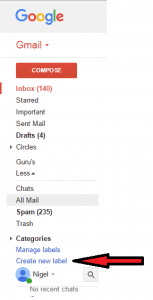 If you have any of the above symptoms then I have a few useful tips to help you out if you’re using Gmail as your main inbox. A lot of people still don’t know that you can create a sub folder or label in Gmail, I know I didn’t know until recently doh! Anyway the folders are actually called Labels, which is probably where they catch people out, silly name if you ask me but no-one ever has yet. To create a folder in google just simply go to the left hand menu, this will normally expand to show you more options, then click on create new label. Now it is important before you choose a label name that you decide what you want to go in that folder first, i’ll explain. You may be a person who gets a lot of emails about holidays lets say from travel companies, it would make sense for your label to be called travel or holiday and then any regular mail you receive about travel could be directed straight into that folder called travel or holiday or whatever you decide to call it. Do you get the idea, likewise if you get regular emails from important people that you definitely have to read, then you are able to name a label specifically after them and have the email go straight to that folder sorry label. To save time i created a folder/label called Guru’s as you can see from the image on the right. The next thing that you need to do is go to your email search box at the top of your inbox, then type in the name of a person/company whose emails you wish to go into the folder that you have just created. For this, example i have searched for the name Reed Floren, a very successful affiliate marketeer, feel free to check him out. Click on the little down arrow button and this will open a new menu. You can probably see that it has populated the name Reed Floren in the “has the words” box. Select create filter and then choose label or create new label, click create filter and then voila. 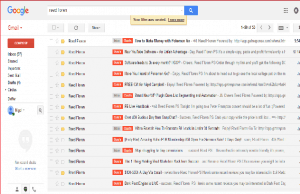 As you can see above all of the emails from Reed Floren are all assigned to the Guru’s label in , i hope you found that helpful. 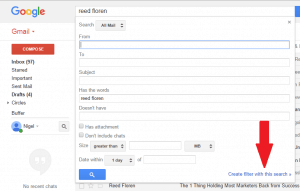 There are many other email solutions out there that can manage your email flow for you, i mean i only found out about Gmail’s filter option 2 weeks ago. What is really funny is it is a product that i had used previously 6 years ago when i had my first foray into internet marketing. What impressed me the most was that it was still running and performing the same brilliant service it offered 6 years previous. They offer a advertising program which allows you to mail up to 3000 members every 3 days. Too Much Email, Unsubscribe From Some Of Those Lists. I mean it isn’t the end of the world if your not receiving the latest “how to get rich quick spend your money with me and get 7 million products as a bonus” email………..
One of the things i look for when deciding to unsubscribe from a list is repetitiveness. i.e an email from several people/guru’s all offering me the same product but with various degrees of bonuses 😡 . I do a quick scan through my emails and if any of the copy cat guru’s have not sent me something free or useful within there last 3 emails then i unsubscribe from their list. Why you may ask, well im not a cash cow and secondly if the only thing the Guru’s are doing is selling to me then it’s just encouraging me to be the same. 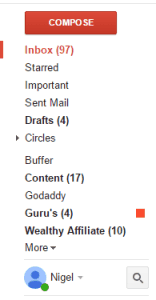 Anyway enough from me, i would love to hear some of the ways that you guy’s manage too much email in your inbox. ⟵When was your liquorice moment?